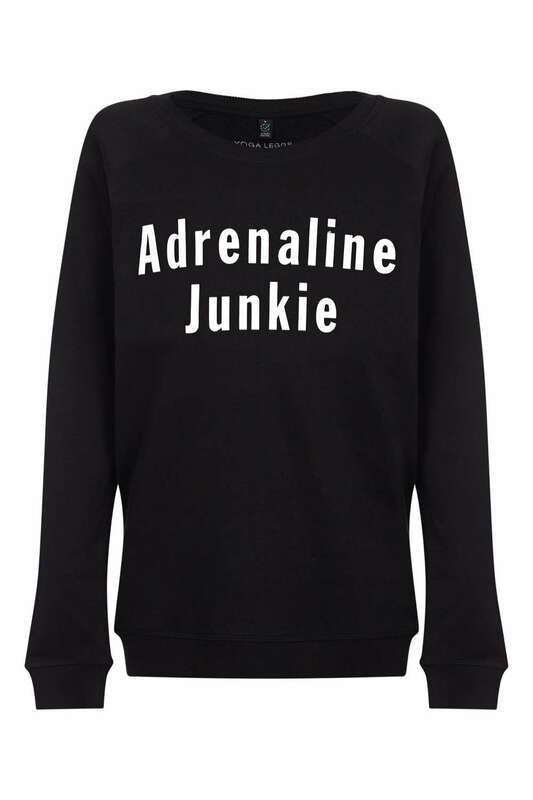 Yogaleggs limited edition Adrenaline Junkie yoga sweater in Black and White. Made from 100% organic cotton. Suitable for all adrenaline junkies for whatever activity gets your adrenaline pumping!